If you fail to plan, you plan to fail. Most of us know this to be true, so why do we still tend to flutter through life overwhelmed and avoiding action? There are a variety of methods to keep your schedule on track and get more done each day. Some women prefer to keep everything digital, which is totally fine. I, on the otherhand, still prefer good ol’ paper and pen. Throw in a variety pack of hi-liters and it’s basically heaven. I used to be the queen of the organized planner. How do you think I made it all the way through medical school with some of my sanity? However, it seems like the second I started having babies, my ability to stay organized and keep a schedule completely fell apart. I now envy my husband’s seamless ability to keep to do lists, and get shi* done. For 2019, I’m officially on the hunt for the perfect planner, and I’ve rounded up some of the best planners for busy moms. Let this be the year that you make a plan, set goals, and take care of you! 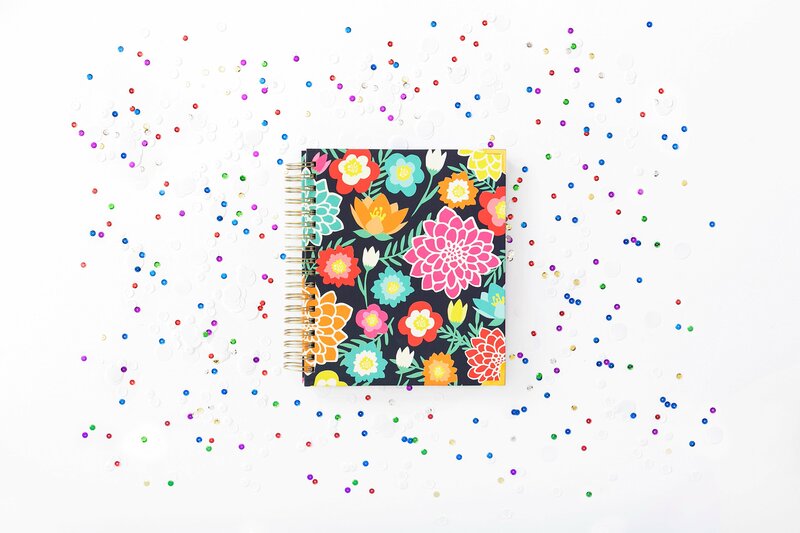 Say goodbye to survival mode, and start tackling your to do list, with these beautiful, goal oriented planners for 2019. I’ve never been more excited to discover a planner in my life. Haha! Ruth Soukup totally gets it. She understands mom overwhelm, and has created the perfect planner to tackle it! This gorgeous planner is designed to help you organize your whole life, not just your schedule. Pick up the Living Well Planner, and find out why it’s just THAT good! This 183 page planner is geared toward helping you achieve your goals in whatever season of life you may be! The planner includes 12 months of intentional goal setting sheets and goal coaching, so you can review and refocus all year long. Not only is this planner fun and beautiful but it actually WORKS to help you uncover your goals, make a plan, and take action. There are a variety of fun bonuses and lots of extra accessories to help you along on your goal crushing journey. You can pick up this perfect planner here. It’s March, and you still haven’t bought your planner? No worries here! This gorgeous planner is undated, so you can start getting your life together whenever you’re ready. No need to wait for the New Year, or summer’s end. Pick up this planner and get started now. This beautifully designed planner features monthly overviews and weekly spreads with a vertical layout to allow plenty of space to time block or add notes. Inspirational quotes, and gorgeous designs make planning less of a chore. Pick yours up here. 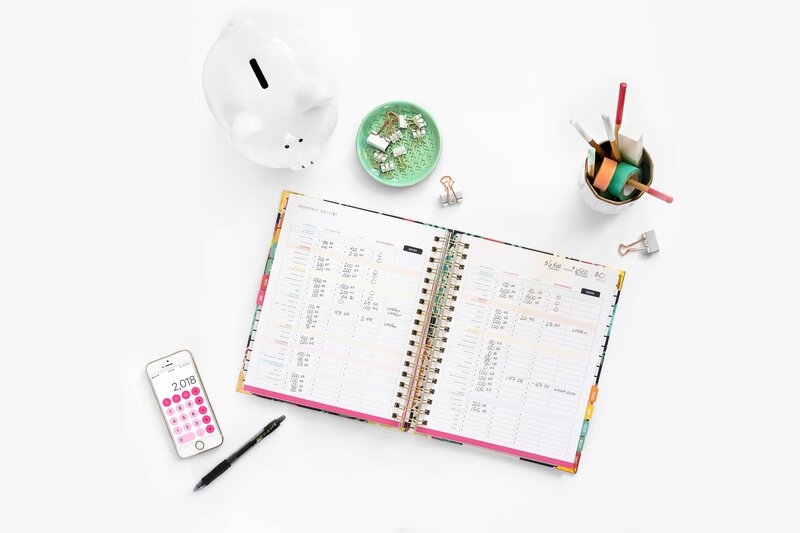 The Erin Condren Original Life Planner has a few more bells and whistles, including an array of handy snap in add-ons like this monthly bill tracker and snap in meal planner to keep you on track in every aspect of your busy life. The Happy Planner is perfect for the busy mama that loves to scrapbook, journal, and use ALL the stickers. The planner is 18 months, so you can get started now and already be a planning pro by 2019. The monthly and weekly layouts have plenty of space to write all of your lists, and use the huge variety of add on sticker packs to customize the planner to fit you! This planner is pretty affordable too, compared to some of the others. You can pick it up here. I love printable planners because you can customize them, rearrange them, and bind them together however you like best. Also, you can usually get an extremely valuable product, for a much lower cost than a physical product, because the creator does not have to maintain production and shipping costs. Nadalie has got it ALL figured out. Her Slay Your Goals Planner is ridiculously good. This 60+ page planner is laid out so perfectly, with multiple options for daily, weekly, and monthly planning. I love this planner because everything starts with your ONE big goal, then walks you through flow charts and questions to break your big goal down into quarterly, monthly, weekly, and daily goals. The planner is also interactive and form fillable if you are more of a digital girl. You can see the entire planner in Nadalie’s video walkthrough here. This planner focuses on simplicity, as the name suggests. This is a great planner for those that might be overwhelmed with all of the lists, forms, charts, and tables that some of the other planners mention. The Simplified Planner is beautifully designed with daily unruled blocks for scheduling, and little circles that you can use to check off your to do list as you go. This planner also has monthly “simplified tips”, with action steps to further organize and simplify your life and schedule. You can get it here. As a busy working mom, I love that this planner features a side-by-side home vs. work to do list. 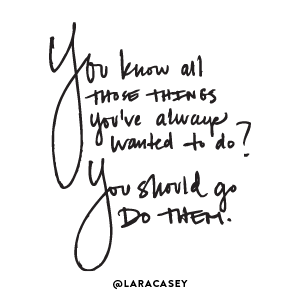 I often have trouble keeping my home and work life separate, and I like the idea of having two lists to tackle. This simple, but effective planner has a lot of great space to jot down your to dos and ideas. It is undated, so you can start organizing whenever the mood strikes. Pick it up here, and get your home and work life organized for good! I really love the whole idea behind this planner. The focus here is on mindset, gratitude, and productivity. This planner is all encompassing, with vision boards, mind maps, habit trackers, and power questions to keep you on track. The Law of Attraction Planner helps you stay focused on your top priorities while putting your happiness and health first. This is a wonderful planner for the mom that struggles with overwhelm. Plus, it comes with stickers. Enough said. Get yours here! Are you ready to get organized and slay your goals in 2019? Start planning now! Do you have a favorite planner that you swear by? Let me know in the comments below so I can check it out!